Nataliya Barysheva joined CastaldiPartners in 2015. Member of the International Arbitration work team, Nataliya assists companies in the construction, oil & gas and renewable energy sectors. Nataliya Barysheva also advises in relation to litigation concerning the enforcement and annulment of arbitral awards and in relation to business law. Avocat au Barreau de Paris, Nataliya Barysheva is also registered with the Russian Ministry of Justice allowing her to practice in the Russian Federation, where she grew up before moving to France. 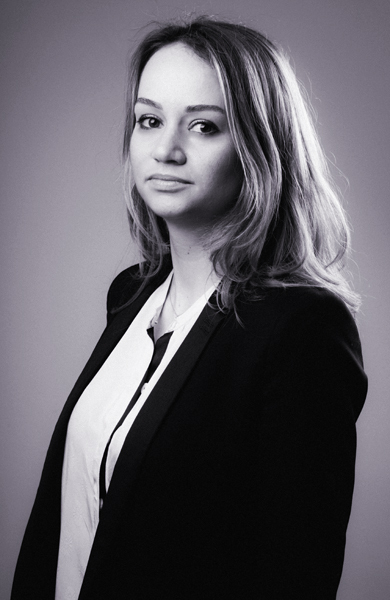 Before joining CastaldiPartners, Nataliya Barysheva had been working as a digital legal content editor within the largest legal publishing house in France and throughout the world for five years. Thanks to this collaboration, she was also appointed a member of the College of Legal Terminology and Neology Experts at the French Ministry of Justice. Nataliya Barysheva represents and advises companies in the framework of dispute resolution; she works in French, English, Russian and Italian. She is a member of RAA40, ICC YAF, YIAG, ASA40, ICDR Young & International, Young ITA and ArbitralWomen. Her working languages are English, French, Italian and Russian. Representing an Italian company in an ICC arbitration relating to hotel activity in Tunisia. Representing a French company in an ICC arbitration relating to the construction of an underground gas storage facility in Iran. Representing an Italian group in an ICC arbitration relating to the construction of an oil pipeline in Algeria. Representing an Italian company in arbitration before the Chamber of Commerce of Belgrade concerning a contract for the sale of gas compression units in Serbia. Representing an Italian consortium in a VIAC arbitration concerning the construction of a railway in Libya. Representing an Egyptian consortium in the set-aside proceedings of an ICC arbitral award before the Paris Court of Appeal and in the proceedings before the Court of Cassation. Representing a French company before the French courts in construction disputes in the renewable energy sector. Representing a Polish bank before the French commercial courts in the proceedings related to credit recovery. Nataliya participated in the ICC YAF conference "Hot Topics of 2016: Change is in the Air", 8 December 2016 (Paris). Country Reporter (France), Institute for Transnational Arbitration, since 2016. Impecuniousity and Denial of Justice: Walking on Eggshells, with V. Chessa, Kluwer Blog, 16 November 2016. Nataliya taught legal research at the Université de Montpellier I (2011-2012). Université Paris I Panthéon – Sorbonne. Université Paris III – Sorbonne Nouvelle.